What makes for a good short story? Being short, you might think the story's structure would yield an answer to this question more readily than, say, the novel. But for as long as the short story has been around, arguments have raged as to what it should and shouldn't be made up of, what it should and shouldn't do. Here ,15 leading contemporary practitioners offer structural appreciations of past masters of the form as well as their own perspectives on what the short story does so well. 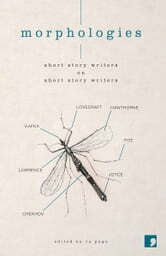 The best short stories don't have closure, argues one contributor, 'because life doesn't have closure'; 'plot must be written with the denouement constantly in view,' quotes another. Covering a century of writing that arguably saw all the major short forms emerge, from Hawthorne's 'Twice Told Tales' to Kafka's modernist nightmares, these essays offer new and unique inroads into classic texts, both for the literature student and aspiring writer.